The slow photograph. Skirt – on glass plates. Shutter speed 8–12 seconds. Lack of time nonetheless. The work in the darkroom begins before the photo is taken. 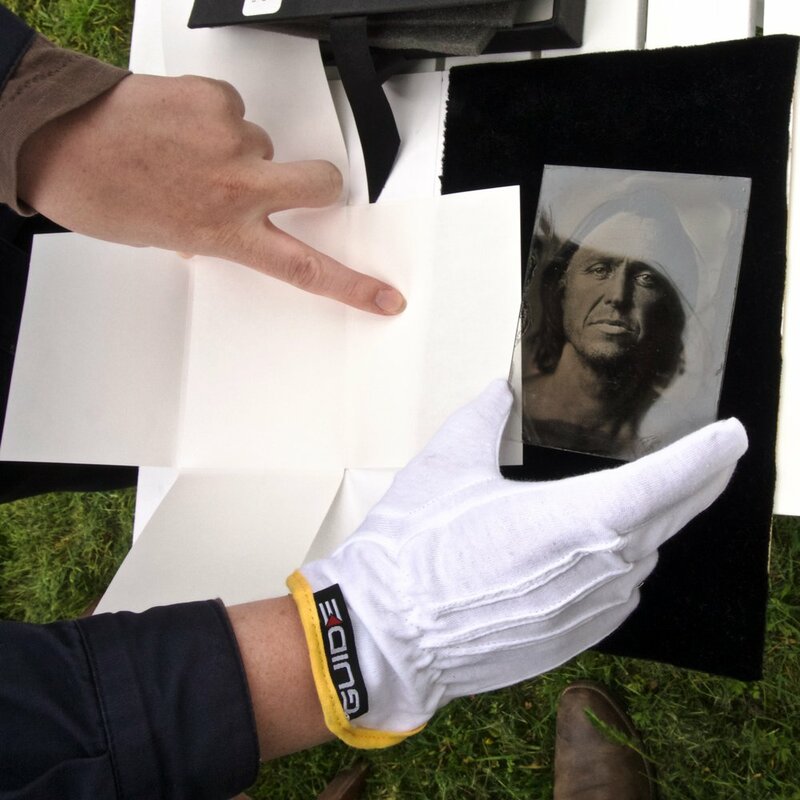 The glass plate is prepared with light-sensitive chemicals, is photographed and developed on the spot. One has 10–15 minutes before the chemicals on the glass begin to dry. Heliography, sun writing, a premature photographic technique turned into modern art at Gimsøya in the Lofoten islands: Johanne Seines Svendsen. Johanne Seines Svendsen’s images are exposed for many seconds, directly on glass plates, in good lighting conditions. Such as those at home at Gimsøya in Lofoten. Stormen Concert Hall, facing Sandgata. This is the one-way via Johanne Seines Svendsen’s “Ambrotypi”. Johanne Seines Svendsen´s work at NorlandiART-18 is “I AM” , a series of three individual pictures, from her studies around themes related to dementia in 2013. The work is for sale in our web gallery.